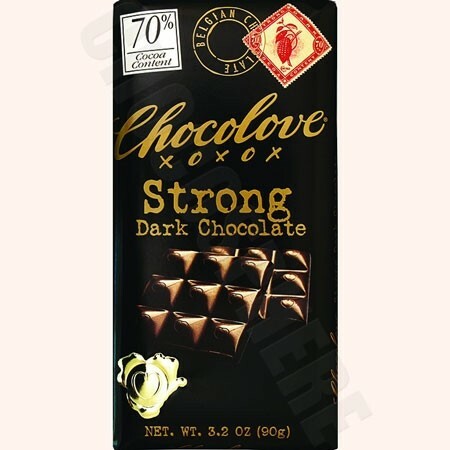 Chocolove Strong Dark Chocolate Bar. Bittersweet Belgian dark chocolate crafted to deliver an exceptionally smooth experience in dark chocolate. Bittersweet chocolate with intense, well-rounded cocoa flavors from African cocoa beans and a touch of Caribbean. Kosher-Dairy, Net wt 90g/3.2oz per bar.